(SPOT.ph) It might be months away from October, but that doesn’t mean you can’t enjoy spooky movies a little early—especially since Mikhail Red's supernatural thriller is Eerie coming out soon. With so many streaming services available, you can just sit back, relax (or at least, try to), and enjoy watching countless horror films from the comfort of your own room. From terrifying ghosts, to local monsters like manananggals, to possessions, there’s a breadth of choices. When it comes to Pinoy horror, there's nothing more memorable than the anthology series Shake, Rattle & Roll (SRR). With 15 installments over the course of 30 years, and featuring works from acclaimed directors such as Peque Gallaga, Ishmael Bernal, Jose Javier Reyes, Mike Tuviera, Chito S. Roño, and Jerrold Tarog, there are a lot of episodes to choose from. If you’re looking for something classic, the early SRR entries that include Pridyider and Aswang starring Janice de Belen and Manilyn Reynes will be worth watching. If you’re looking for your favorite young stars like Kathryn Bernardo, Kim Chiu, and Gerald Anderson, you can find them in the latter entries. There’s an entry for everyone, with a multitude of monsters including zombies, aswangs, ghost stories, and more! We Filipinos love our superstitions, and filmmakers also love making horror movies out of them! Sukob features two well-known superstitions: That siblings shouldn’t get married within the same year, and that one should not get married in the same year that an immediate relative dies. Writer-director Chito S. Roño keeps viewers on their toes as the film’s body count grows larger and larger, while the Philippines’ own scream queen Kris Aquino and Claudine Barretto (half-sisters who get married in the same year without the other’s knowledge) try to stay alive and escape from a ghostly flower girl. Creepy and mysterious, Sukob is one of the most successful Filipino horror films of the 2000s and for good reason. If you’re not looking to be scared too much, then look no further than Ang Manananggal sa Unit 23B, which successfully mixes horror and romance. Gorgeously shot and featuring a star-making performance from Ryza Cenon, director Prime Cruz and writer Jen Chuaunsu’s gory love story is one to watch. Cenon stars as Jewel, a manananggal who falls for the cute new boy (Martin del Rosario) who moves into the same apartment building. Curbing her natural tendencies to kill, Jewel struggles with the love she has and the hunger for blood. It’s an intriguing, beautifully shot film that is one of the more interesting and unique horror films in recent years. Yam Laranas is an esteemed Filipino horror director, often putting out daring horror films throughout his career, including 2011’s The Road and 2018’s Aurora. His most successful film to date is Sigaw, having been screened in neighboring countries like Singapore and Malaysia. The movie is all about a haunted apartment building story full of vengeful, bloody ghosts and well-executed jump scares starring some of the most popular actors at the time like Richard Gutierrez, Angel Locsin, and Iza Calzado. Sigaw even received an American remake that Laranas directed himself (and also starred Calzado). When Shake, Rattle, & Roll II premiered in 1990, one of the most popular and talked about segments was Peque Gallaga and Lore Reyes’ Aswang. A couple of years later, they took parts of the short half-hour segment and added it into a full-blown feature, still starring Manilyn Reynes but adding Alma Moreno and Aiza Seguerra into the cast. While not exactly an extension of the SRR episode, it still deals with Reynes fighting off a bunch of aswang attacking a barrio community and its residents. It’s a crazy ride with some admittedly now-laughable make-up/creature design, while still bringing the fun and scares. One of, if not the most well-known and talked about horror film in Philippine history, Feng Shui is a must-see for any horror fan, and also deserves repeat viewings even 15 years later. Feng Shui is the epitome of 2000s Philippine horror—it featured the most insane deaths on screen, a nightmare-inducing monster in Lotus Feet, and a whole lot of superstition. When Joy (Kris Aquino) receives a bagua mirror that is supposed to bring good luck, she reaps the rewards, only to find death surrounding her. 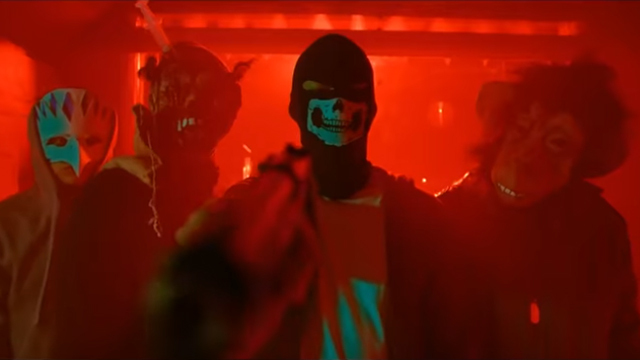 The manner of deaths are linked to the victim’s Chinese zodiac sign, and this creative idea alone is worth watching the film for. Watch out for those Red Horse beer bottles, Year of the Horse people! For something a bit more out of the box, you can try out Di ingon ‘nato, which touts itself as a the first Bisaya zombie film. Starring Rez Cortez and Mercedes Cabral, this low-budget but competently made horror thriller focuses on a village in the Visayas wherein the dead are rising back to life. There are so few films that are purely from other regions of the Philippines that are readily available anywhere, so this might be a good chance to see something very different from the sleek and stylized mainstream horror films. With a story by acclaimed director Erik Matti, you know you’re in for a neat horror treat. In Pagsanib, a cop (Sarah Lahbati) is intertwined with a case that involves a woman (Shy Carlos) who murders her nanny but is claimed to be possessed by an evil spirit. This horror film doesn’t go for the easy scares, instead letting the chill run over its viewers as it slowly unravels its mysteries. Katski Flores directs Matti’s story with an assured hand, paying close attention to detail and using subtle movements and acting to tell this terrifying tale. 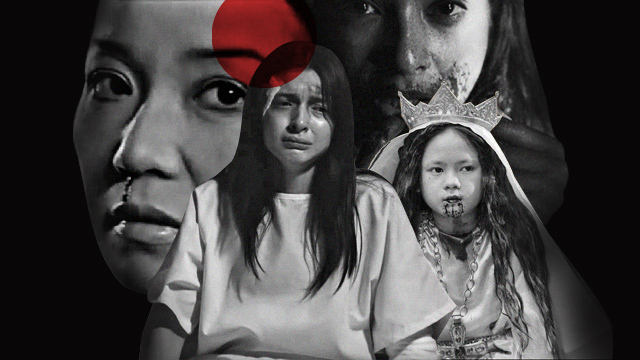 When do you get to see powerhouse actresses like Vilma Santos do horror? Rarely. In Chito S. Roño’s 2012 feature The Healing, Santos gets to be a scream queen for the first time alongside Kim Chiu, as she battles supernatural curses and elements that come from a faith healer. The film has Roño bringing out his talent in building up suspense before leading to a frightening conclusion. Scary demon children, religious iconography, and lots of great scares, what more could you want from a modern horror tale? Erik Matti’s award-winning Seklusyon has two stories happening simultaneously—one where a little girl named Anghela (Rhed Bustamante) is believed to heal the sick, while a bunch of deacons are about to spend seven days in seclusion as part of their journey to priesthood. As with all of Matti’s films, it’s meticulously directed and showcases an attention to detail that few directors pay attention to in horror nowadays. From the costumes, to the sets, to the cinematography, everything is perfectly chosen—an effective horror piece from a master.